What does it mean for Mitt Romney if he's less popular than George W. Bush ? Here's something that ought to give Camp Romney heartburn. There's a poll out that finds the Republican candidate for president, Mitt Romney, is less popular than George W. Bush. This Bloomberg News survey shows the former president with a favorability rating of 46% compared to 43% for Romney. Bush gets an unfavorable rating of 49%. Romney gets 50%. Bush's favorables are also higher than Joe Biden, Paul Ryan and the Republican Party. 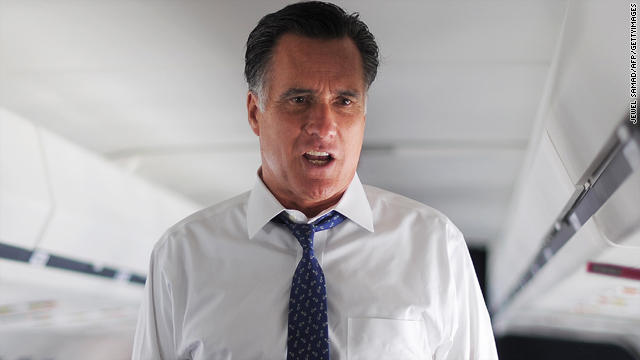 It's well-known that Romney's favorability numbers are lower than President Obama's. Many believe Romney - the mega-rich businessman who once tied his family dog to the roof of his car - just can't connect with a lot of voters; but less popular than George W. Bush? For starters Romney and his campaign have done everything in their power to try to make Americans forget about George W. Bush and his eight years in office. Romney avoids mentioning the former president's name, and Bush was nowhere to be seen at the GOP Convention in Tampa. That's because for many Americans Bush's presidency brings back bad memories of the wars in Iraq and Afghanistan, the dismal response of the federal government to Hurricane Katrina, the conditions that allowed the financial crisis of 2008 to happen and on and on. Just a few months ago a CNN/ORC Poll found Bush to be the least popular living ex-president. But somehow he still gets higher favorable ratings than the Republican who wants to be president. Here’s my question to you: What does it mean for Mitt Romney if he's less popular than George W. Bush ?